There’s always much to be said about climate change. During COP21, a critical and potentially future-determining event, there’s even more to be said. We have, for example, already read on this blog how journalists cover the conference, what different climate narratives exist or on how many layers climate change affects us. What is often forgotten in the public discourse on climate change, however, is how regular people around the world make sense of what’s going on in Paris. The teenager in Newark, the student in Madrid or the businesswoman in Pune. It has often times been reiterated that climate change affects every one of us. In this analysis I will shed some light into how climate change is discussed on the “front page of the internet”: Reddit. In terms of social media, Reddit is an old man among the likes of Instagram, Snapchat, Yik Yak or Voat. The social news/bookmarking site was founded in 2005 and is nowadays one of the most popular sites on the web (Alexa ranks Reddit as the 31st most visited site in the world). Ever wondered where your Facebook friends get their weird news stories or your news site the funny cat video? Well, there’s a high chance Reddit was somehow involved. The site allows you to read and post links, pictures, videos, songs or your own story to specific thematically clustered forums (so called subreddits or subs and indicated by an /r/). A picture of your puppy, for example, would be posted in /r/aww. Additionally Reddit also allows you to comment on each of these links and discuss your puppy’s cuteness with strangers all over the world, and like or dislike other user’s pets or their comments (called upvotes and downvotes). This makes Reddit one of the most vibrant and diverse internet forums on the web. For this blogpost I naturally didn’t look at puppy pictures (well, that too) but rather how climate change was discussed in the seven days from November 30 to December 6 . I scraped Reddit for all posts that had the terms “climate change”, “global warming”, “climate paris” and “cop21” in their title. This resulted in 2.020 unique submissions, i.e. news articles, videos, images or text posts. This stat alone shows how relevant climate change is for Reddit users. In a first step I looked at the amount of posts per search term and how that differed from each other. We can see that “climate change” was the most used search term for the last week (n=980) and “global warming” the least (n=300). Unsurprisingly, on the first day there were the most posts on Reddit, with the amount of posts rapidly declining over the next few days. This is most likely closely connected to the media’s reporting on COP21 but, it may also relate to the tedious middle phase of the conference, where generally little progress is made and new developments are rare. In a next step I looked at the most popular posts to see if there’s some kind of pattern. There were 8 posts that had over 1.000 upvotes (almost a guarantee for a spot on Reddit’s front page and thus to be seen by millions of people all over the world). 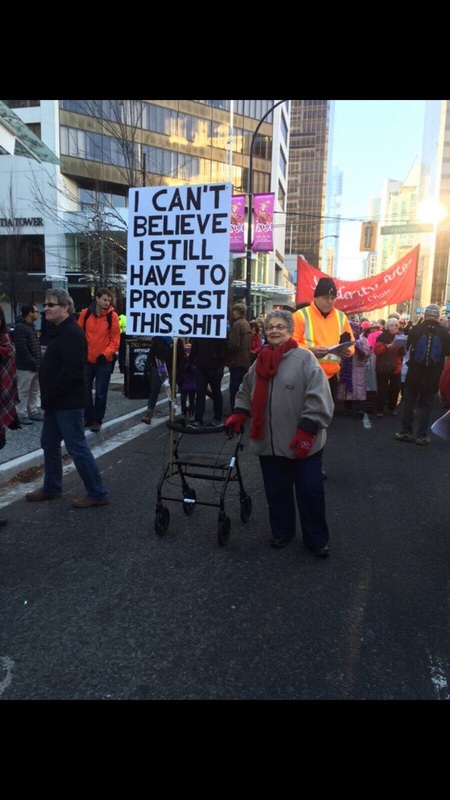 This picture which also inspired the title of this post, has been viewed over 1.5 million times, received 5.794 upvotes and 495 comments (the top comment says “I bet she uses that sign for everything.”). The second most upvoted link shows, however, that Reddit is not only about funny pictures. It can also be about politics: this article by The New York Times got posted in the politics subreddit and states that “Two-Thirds of Americans Want U.S. to Join Climate Change Pact”. It got 5.613 upvotes and 1.266 comments. The only topic that reached the front page twice was the hacking of the advertisement spaces in Paris (one of the posts linked to these images). However Reddit does not only give you the option to post pictures of news stories but it also offers people the opportunity to give “mass interviews”, so called Ask Me Anythings (AMAs). 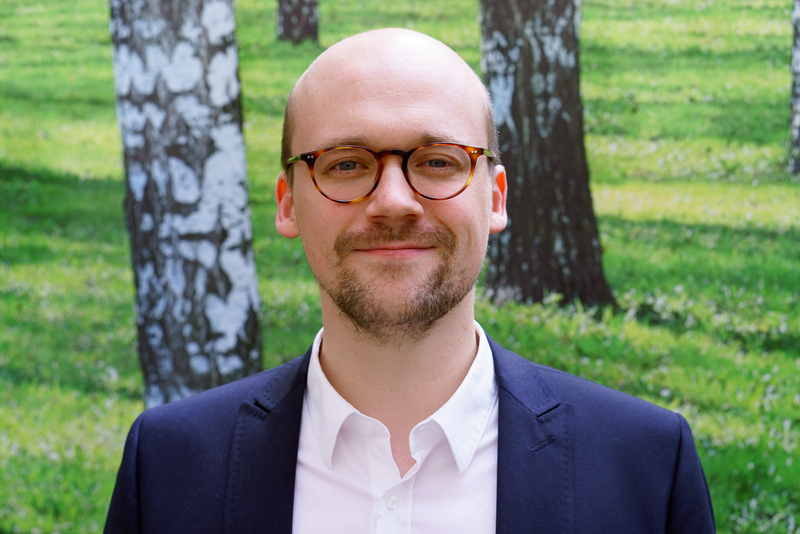 Janos Pasztor (Ban Ki-moon’s senior adviser on climate change) took this chance and answered Reddit’s questions on what negotiators looked like or how one should deal with climate skeptics. This glimpse alone shows just how diverse Reddit can be. 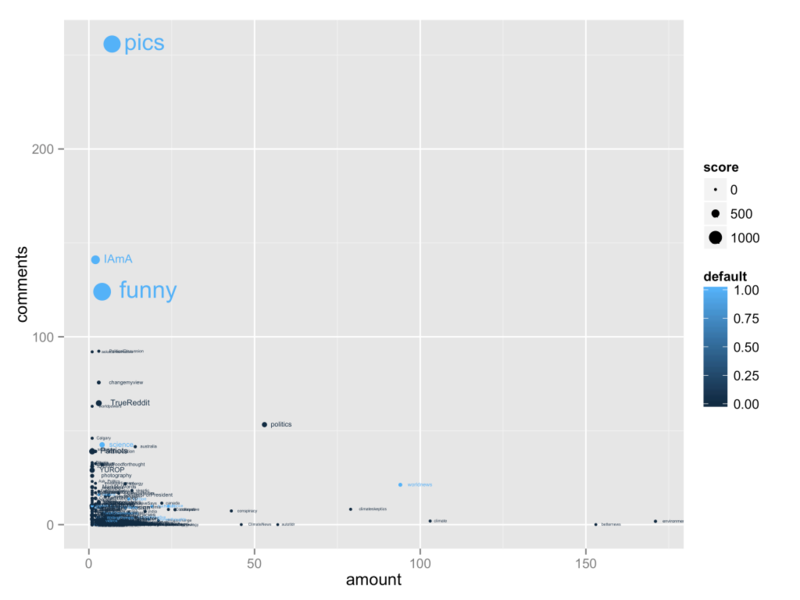 To fully understand the spectrum of the sites diversity I took a closer look at the subreddits. I took the amount of submissions per subreddit, the average amount of comments per submission and the average amount of upvotes a submission got and plotted these accordingly. First of all, we can see that users posted about climate change on a wide variety of subreddits reaching from satire (/r/shittyaskscience), science (/r/science), politics (/r/conservative) to local news (/r/Calgary) (426 subreddits in total). We can also see that the majority of these subreddits are neither used frequently for posts about climate change nor get a lot of comments or upvotes. There may be two reasons for this: on the one hand many of these subreddits are not that popular and thus not very visible for other users. On the other hand, climate change may not be the most “engaging” issue for users. Another aspect that supports these ideas is the difference between normal subreddits and the so called “default” ones (since there is no official list I used this user generated one). These are the subreddits which are mostly on the front page and to which a Reddit user is subscribed to by default and which are consequently the ones with the most subscribers and biggest reach. These default subreddits are the blue dots in Fig. 2. You can see the difference between funny (e.g. the old lady on the climate march), IAmA (e.g. Janos Pasztor’s AMA) and pics (e.g. the faux ads but also pictures of the protests in Paris which have been covered on this blog, too) and the rest. There are only few posts in these subreddits but those few had a lot of upvotes and comments and thus a wide reach and big engagement. In stark contrast to these default subreddits stand the most active ones. There were, for example, 173 posts to /r/environment which dealt with all different kinds of topics (e.g. conference process, national politics or scientific studies) but which were barely commented upon or upvoted. This holds also true for other subreddits like /r/betternews or /r/climate. One default subreddit which is used actively for climate related news is /r/worldnews (n=94). Indeed, one of the Top 8 posts was submitted to this subreddit and dealt with the possibility of Exxon having to pay billions in a climate change lawsuit. But on the other side a lot of posts on /r/worldnews were not as successful, thus resulting in a comparatively low average upvote and comment score. A last subreddit I want to draw your attention to is /r/climateskeptics. This “safe space” for skeptics has seen 79 submissions with an average of 12 upvotes and 8 comments per post. Covered issues were, for example, the scientific consensus (the dreaded 97%), the supposed hiatus, a link between climate change and terrorism (this actually got discussed in several mostly conservative subreddits) or the fact that a French weatherman and skeptic got hired by the Kremlin. Additionally, /r/climateskeptics is one of the few subreddits which actively promotes the term “global warming” (n=25; only /r/environment used it more often with 27 posts) next to “climate change” (n=36; /r/environment with 101 posts) thus echoing a recent study by Jang and Hart to some extent. 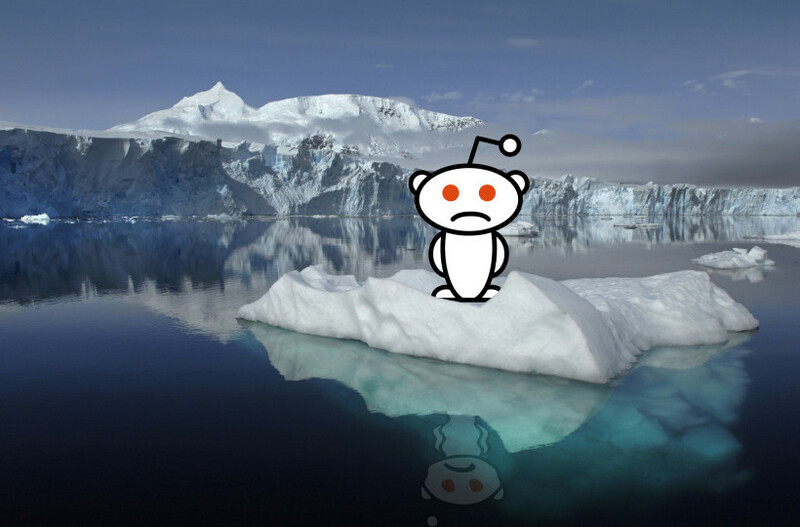 For this blog post I set out to look at how Reddit’s users discussed climate change. With this small analysis, I was able to show that Reddit users greatly care about climate change. The political nature of COP21 influenced Reddit’s agenda strongly in this respect. 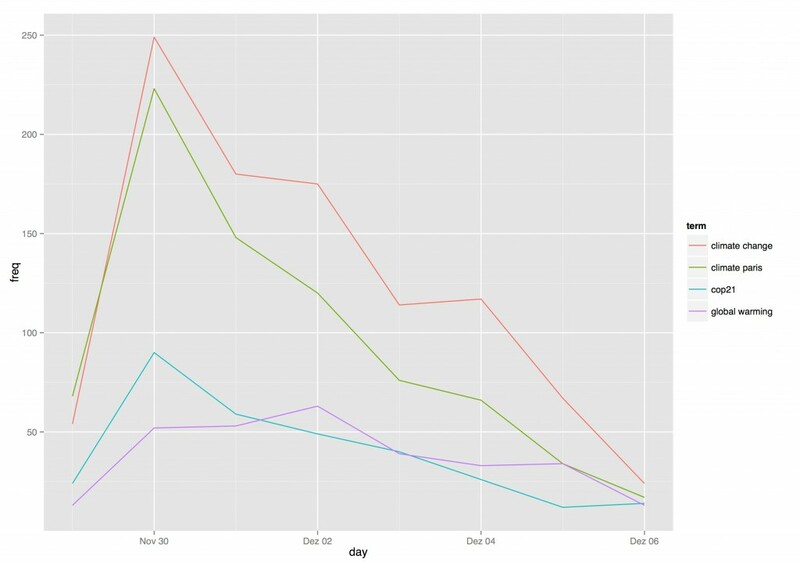 Not only were the political subreddits among the most active and engaging but also news posts of Obama’s speech in Paris, YouTube videos of the faux ads or images of rioting protesters were prominently discussed all over Reddit. Additionally, climate change was discussed on all different kinds of levels: internationally, nationally but also locally. Reddit wouldn’t be true to its spirit, if there weren’t also a few posts that looked at climate change humorously (e.g. 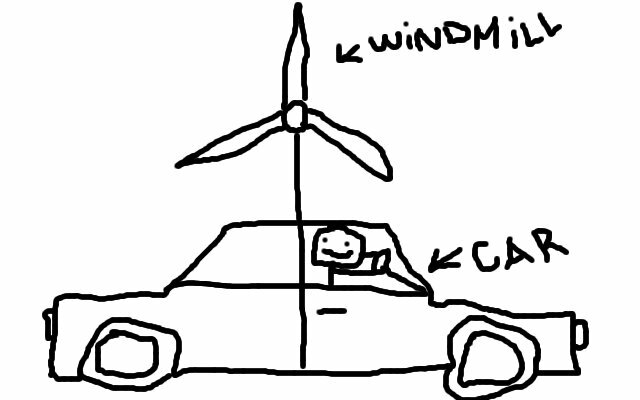 this idea to solve climate change submitted to /r/shittyaskscience), scientifically (e.g. this remarkable study) or suspecting a big conspiracy (/r/climateskeptics or /r/conspiracy) and thus emphasizing Reddit’s thematic and user diversity. When looking at such a diverse and multi-faceted site as Reddit there are a few aspects which have to be neglected. Most notably, I chose to focus for this blogpost on the submitted posts and ignored the comments. This analysis is thus only able to give you a broad idea of how internet users from all over the world discuss climate change and the conference in Paris and its small and the big stories. Note: I’d like to thank Stephan Schlögl and Adrian Rauchfleisch for their valuable tips, help and insight with R.
 All upvote and comment numbers stem from the time of my scrape and do not necessarily still have to be the exact amount of votes or comments. Reddit is tricky that way.